Though Apple went on to describe the technology that actually makes the Animoji possible, the concept alone was enough to pique your interest. And the moment you saw it in action, you were sold. Unlike Snapchat’s familiar filters, Animoji entirely transform your face into the icon that you’ve selected. When your mouth opens, its mouth opens. The two of you share words, thoughts, and emotions. You aren’t just a person wearing a fox mask or makeup, you are the cartoon fox and the cartoon fox is you. It was funny watching Apple executives banter back and forth using their alien and fox Animoji. But as you sat at your desk watching the cartoon fox relay a message in Apple software chief Craig Federighi’s voice, another stray thought welled up inside of you: What if... you made the fox say something dirty? 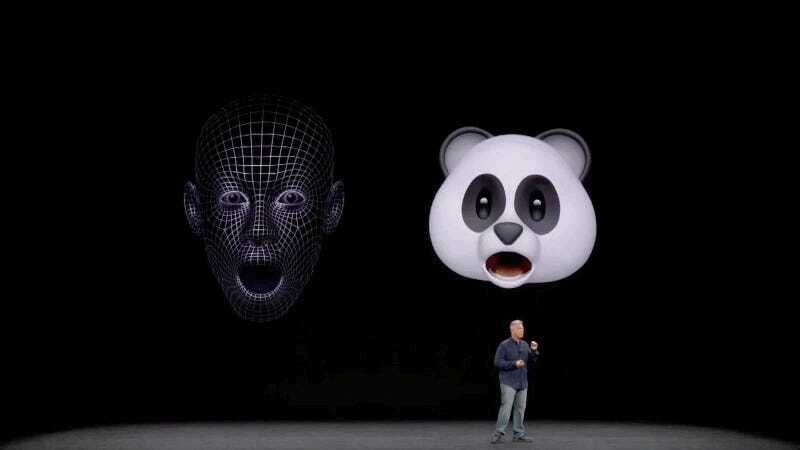 The way Apple presented it, the Animoji were a harmless little way to joke around with friends. But you know what your friends are like. They’re crass and rude and there’s no chance that the Animoji would stay tame for very long. If you’re being entirely honest, though, you know that that’s not really the reason why you keep thinking about the Animoji. No, you’re still thinking about that talking fox because for the first time in your life, you get it. You understand it. You know what your fursona is and you have Apple to thank for it. Though you’ve never admitted it to anyone out loud, you’ve always known that there was part of you that felt the mildest attraction to furry culture. You’ve always quietly admired the artwork (and perhaps the errant piece of steamy erotica), but it wasn’t until you saw that Apple presentation that something important slid into place. Somewhere deep inside, you flirted with the idea of diving into the world of furrydom, but never got around to imagining a fursona for yourself—much less finding the audacity to commission an artist to draw one for you. But seeing that laughing fox changed something within you. It gave you hope. You saw yourself in the cartoon fox’s expressive face and felt a primal sort of kinship with the character that took you by surprise. And then the possibilities began to wash over you. Who said you had to be a fox? You could be a panda or a mouse or a pig. You could try on the entire barnyard until you found an augmented reality persona that felt like a true representation of who you are.